There is an enormous amount of evidence to suggest that positive indications by drug detection dogs are not a reliable indicator of the presence of drugs. Police figures suggest that between two-thirds and 80% of positive indications are “false” – meaning the subject does not have drugs on them at that time. There is also research to suggest that sniffer dogs may make a positive indication for reasons other than the presence, or previous presence, of illegal drugs – they may show interest or sit next to a person due to the presence of food, the lingering scent of another dog, on a signal by their handler or simply due to tiredness. Indeed, there is a very strong argument that a positive indication does not – by itself – constitute the “reasonable grounds” necessary for police officers to search a person. 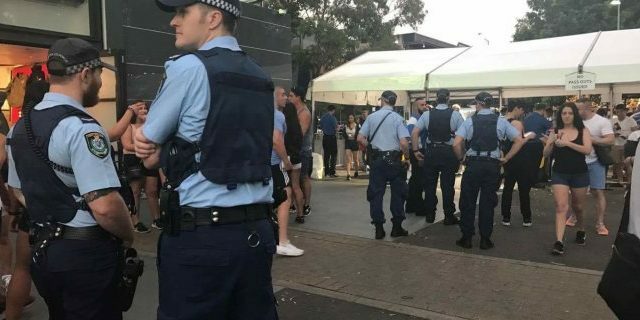 Despite all of this, the NSW Police Force published a statement on its Facebook page yesterday warning that ticket holders to this weekend’s Above and Beyond music festival will be refused entry to the event if they are the subject of a positive indication, regardless of whether drugs are found. The warning has created a social media storm, with members of the public accusing the force of abusing its powers by proposing to deny entry without sufficient evidence of an offence having been committed. The vast majority of the 2,500 or so comments on the post are highly critical of the proposal, repeatedly pointing out that patrons who have paid significant amounts of money for tickets and travel to this Saturday’s event may be turned away without having done anything wrong. Police have not indicated the source of their supposed power to refuse entry in the absence of conduct or a state of affairs covered by legislation such as the Liquor Act 2007 and Law Enforcement (Powers and Responsibilities) Act 2002 (NSW) (the LEPRA). Under the Liquor Act, licensees of licensed venues, their staff and police officers can refuse entry to patrons who are “intoxicated”, “violent”, “quarrelsome” or “disorderly”. There is a strong argument the provisions do not encompass the situation contemplated by police. As the name suggests, the LEPRA confers powers and responsibilities upon police officers in NSW. It contains provisions relating to requiring identification, searching and seizing, public disorders and safety, arrests, giving directions, drug detention operations, detention of intoxicated persons, confiscation of items and so on. None of these powers allow for the course proposed by police in their statement.